Farms were once the Hudson Valley Region's main feature. They have all but vanished to be replaced by housing and retail. 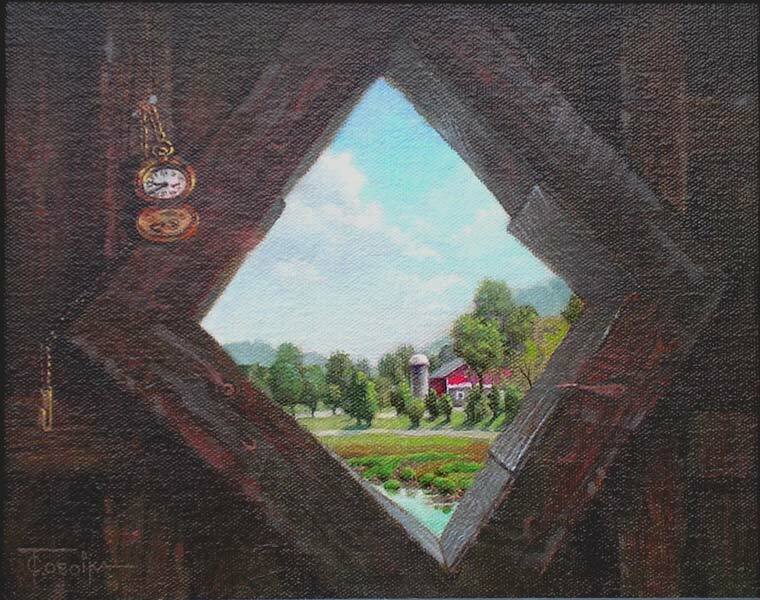 The view is through the portal of one of the area's remaining covered wooden bridges.